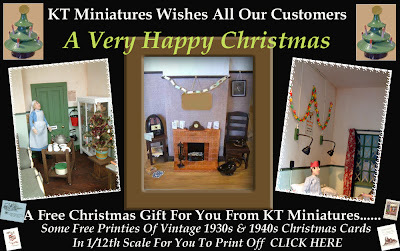 Due to what appears to be a complete meltdown in the UK delivery service caused by bad weather over parts of the country these past few days, plus today here in Thame we have had some pretty heavy snowfall, I have finally decided to close KT Miniatures a few days earlier than planned, as it will be a pointless exercise in trying to despatch any more parcels for Xmas.....sorry folks! 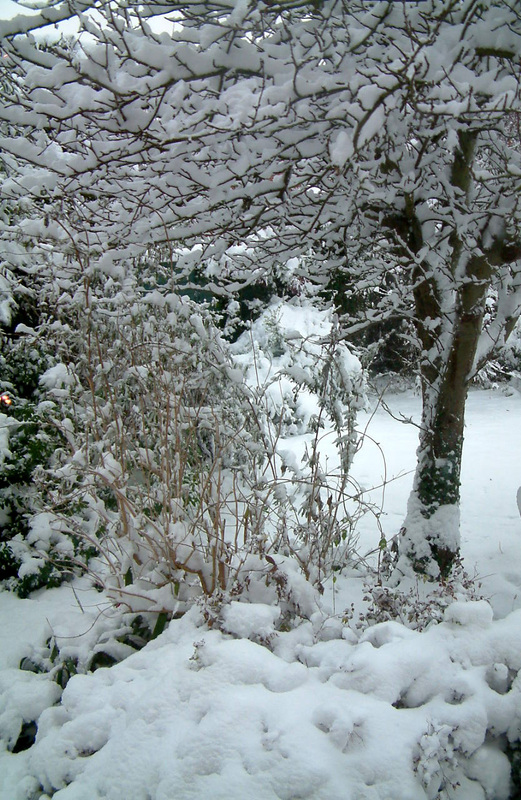 ﻿﻿﻿﻿﻿﻿﻿ After continual snow for hours today, it has finally stopped. I sympathise fully with those of you who have had this for days already. 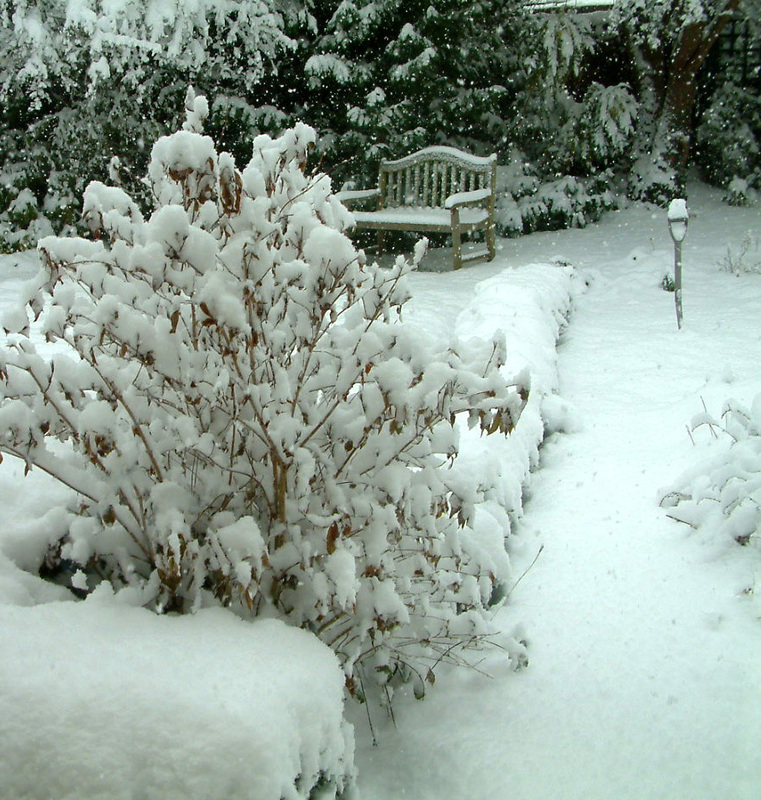 It is not often we get heavy snow in this part of the world and everything simply grinds to a halt with just a few inches of the white stuff! However, Thame High Street looks like something out of a fairy tale, with all the ancient buildings peeking out from under the snow and the Christmas lights & tree outside the old town hall...simply magical. It looked like time had stood still for 100 years!!!!!! If only I had had my camera with me when I took my life in my hands and ventured out for supplies. But after having fallen on the ice yesterday from which I am still nursing a cut and bruised knee, my attention was focussed on trying to stay upright today. Officially I am opening for business again on the 3rd January. Although I should still have access to my computer from time to time over the festive period, so please do still feel free to email or reserve items if you wish. I may not respond immediately but will do so as soon as I can. A Little Girl At Christmas In The 1930s! Thought you might like to take a peek at this old home movie that I randomly came across on the net. 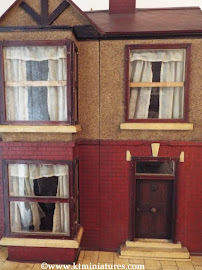 You will see a little girl with her many dolls and 30's dolls house filled with furniture. 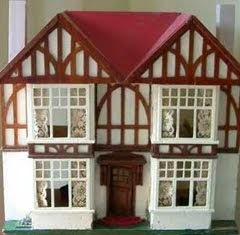 What make is that house?Love the Shirley Temple doll too. Not sure over how many years this film represents but she was certainly younger at the beginning of the film than at the end. The music is from the 1950s (I think) and although annoying, I found myself singing along by the third time of watching! ooops...bit of a hiccup today! Ever had one of those days when you wished you'd stayed in bed?!!!!! Yep...today is one of those days...grrrrrr!!!!!!!!!!!!! 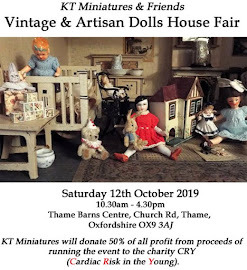 Just to let you know that today we appear to be experiencing big server problems so consequently KT Miniatures website seems to be taking on a life of its own. You will be finding it hard to download pages and buttons not working. I can only apologise and hope all will clear and get back to our breezy normal service very soon. Thank you for your patience. As if that was not bad enough, my computer died just after 9.00 this morning and for a while I felt my right arm had been cut off!! Thankfully it turned out to be just the monitor that has gone up to that big cyber heaven in the sky and hubby has hooked me up to an old one....so yippee....am back up and running of a sort. 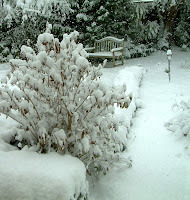 Have to admit it was scary for a while....just before Xmas with outstanding orders to get out..... not great timing!!! I am aiming to close officially for the Xmas period on Wednesday lunchtime next week - Wednesday 22nd December so if you are UK based and wishing to order items for Xmas you can still do so. 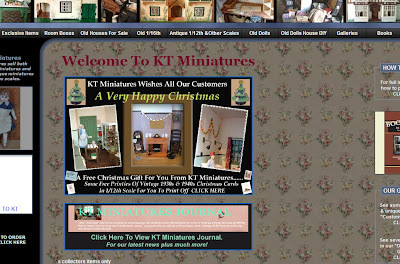 Visitors to KT Miniatures website over the past 24 hours could not have failed to notice that the website has a new look! After a couple of years with the same website I felt it was time for a bit of sprucing up. 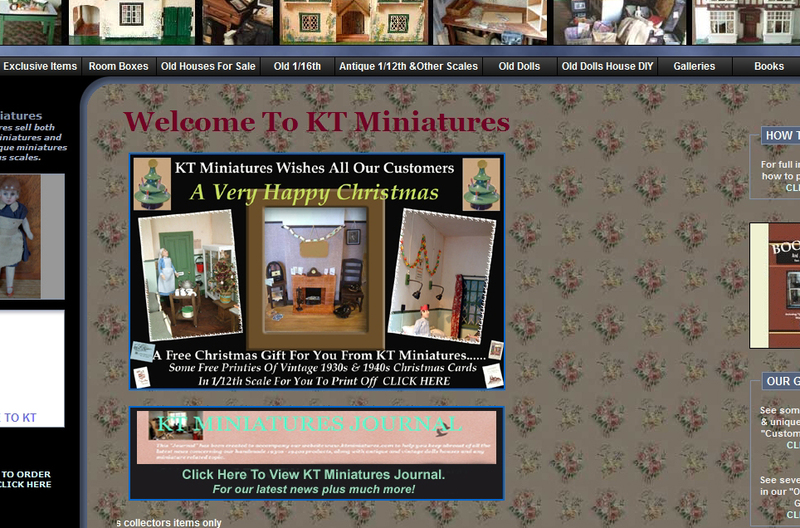 The website framework is still basically the same but the main background is now made up from images based on the 1930s wallpaper that is currently for sale on KT Miniatures (Ref: Wallpaper No 20 ). I picked out two flowers from the overall design of the actual wallpaper then replicated them...lets just say many times.....I think I need a lie down now!!!! Hopefully over the Xmas period when life is a bit quieter I will be able to turn my attention to the website properly as I still have a bit of tweaking to carry out, but whats more exciting is that I have some new and innovative pages to add...so "watch this space" as they say. For now though, its heads down and back to getting those Xmas orders out. ﻿Yippee.....it's now December & Christmas is nearly upon us, so here's a little printie to help get you into the festive spirit .......ideal for both reproduction and vintage dolls houses. Click on the image above & wait for the PDF to download. 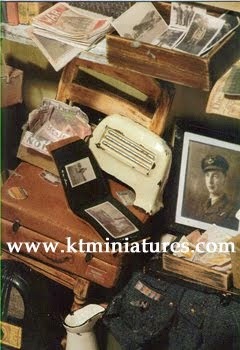 Then simply print off on ordinary paper your free vintage Christmas cards in 1/12th scale. Have fun with them!